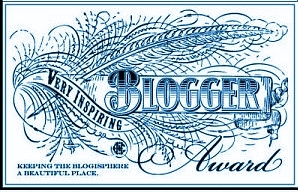 Very Inspiring Blogger Award – who? me?! This next point I’ve seen varies from blogger to blogger, but the gist is to present this award to other bloggers you think are deserving of it. Link them in your blog post about your ‘win’ and leave them a comment on their blog alerting them to how inspiring you think their blog is! I am an avid bookworm when I was growing up. I have been known to chuck an tanty for not going to bed because I wanted to finish my book. Following on from that, I’ve been writing stories since I was in primary school too. I always got bad grades for my story writing in English (I don’t know why!) but look at me now! Disney movies are my achilles heel. If I’m having a bad day, I will grab a Disney movie and snuggle in bed with it. There are not many Disney movies I don’t shed a tear to. My family are my rock. I am incredibly close to my family. There were many times in our lives when all we had were each other and it brings me great comfort to know that we are still discovering who each other are as an individual rather than a set role (parental figure/sister etc.). I think it makes a world of a difference to how we get along. I’m proud to say they’re all wonderful people. I’ve always considered myself as a bit of an outsider. All throughout school I was a bit of a loner, so it kinda just stuck. Despite being shy, once I get comfortable with the people I’m around with, my inner social butterfly flutters a bit more. I love eating. My philosophy with food is that if it’s going to mess with my sugars or my tummy, it better be well worth it! Unimelb Adventures – A blog recently started by my sister, sharing her university experiences and helping others out. Brilliance in simplicity. She inspires me because I have never met another person with so much passion for teaching others using funny animal memes. What Diabetes Should Call Me – Granted, this is technically not a blog but a tumblr, I love it! I visit it almost daily and have a great laugh from all the gifs. This tumblr inspires me because I appreciate people who make others laugh. Sultanas and Vegemite – A fantastic blog from a freelance journalist. (huge respect for this, and why she’s my inspiration!) I love reading about the things Shannon has gotten up to – from reviews at bizzarre events to personal stories about her family and friends! Diabetogenic – Renza inspires in so many ways – mostly the things she says and writes (on her blog and in private to me) gives me courage and strength to stand up for myself (particularly to healthcare professionals). The advocacy that she does for diabetes has also been a huge inspiration. Not to forget her great taste in food and music. Two thumbs up. pancreas4sale – Brooke is a friend I met on diabetes camp. Her blog is all about full-upfront honesty of her life with diabetes. It’s blunt and honest, which causes people to take it in a negative way at times, but I know how hard she tries with her diabetes. The passion she has for helping others with diabetes is my inspiration. 1000 Awesome Things – I discovered this blog through a friend and was hooked on it in its early days. This blog reminds me to appreciate the small things in life that we often take for granted. I think that’s really important and sometimes very humbling. Neil has since published two books, of which I own one (thanks to a dear friend) and it’s also a small part of my motivation to write my book! Thank you, Michelle from ‘Inspiring the Girls’ for my Very Inspiring Blogger Award!